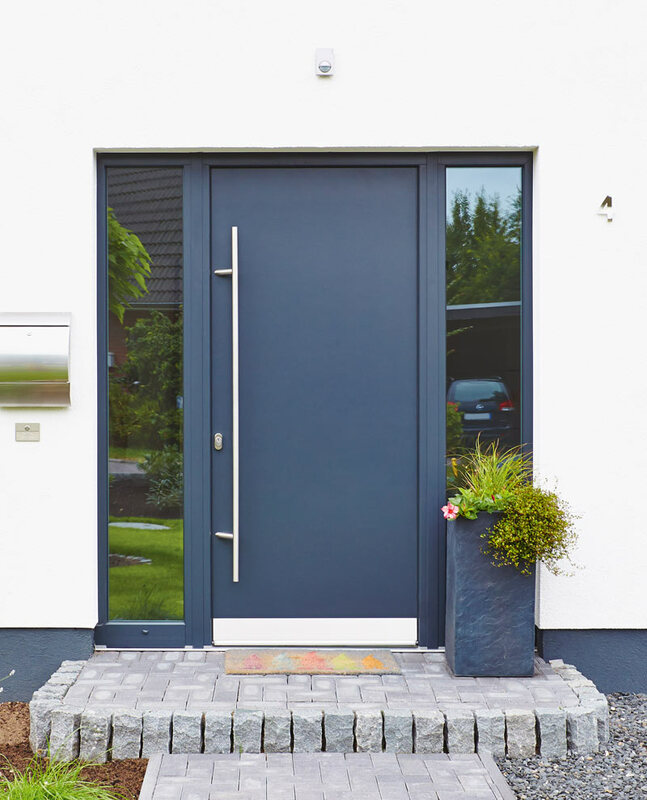 There are many compelling benefits to having HBI vinyl front doors with profile cores made from fiber-reinforced plastic (FRP). They are highly energy-efficient and burglar-resistant. They can be given almost any design and surface finish. And they offer a low weight and high stability. Vinyl HBI front doors with FRP profile cores are extremely energy-efficient. They use the six-chambered REHAU GENEO® profile system and rely on the same technology that has been used to build aircraft and Formula 1 race cars for years. The ultra-stable profile core consists of a specially developed composite material made from PVC and special fiberglass. The six chambers can also be used for other purposes such as insulation or steel reinforcements. 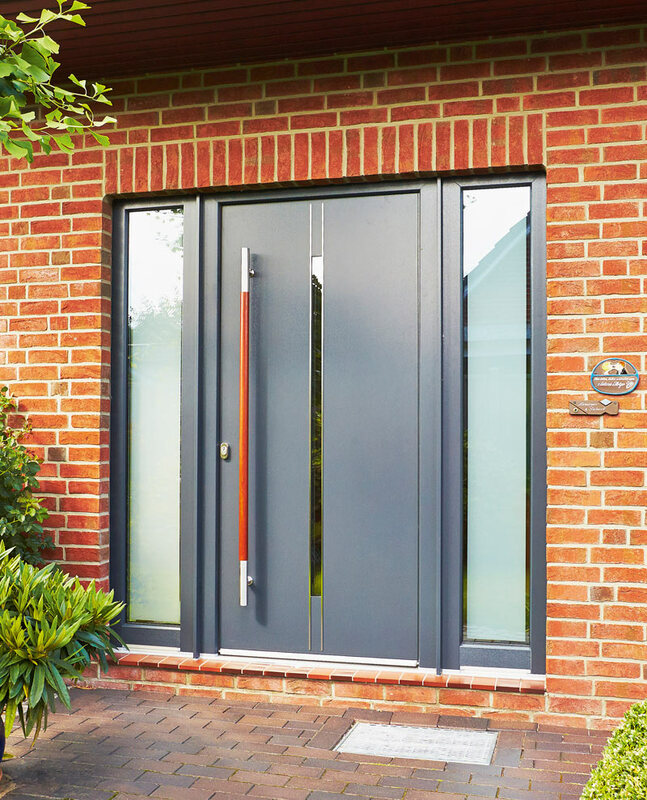 The FRP profile core stabilizes vinyl HBI entry doors so much that they can largely avoid using the thermally conductive steel reinforcements found in conventional profiles. This innovation avoids thermal bridging and provides superior insulation performance with a Uf value up to 0.76 W/m2K. In fact, the R-values of front doors can even be raised all the way to Passive House standards. Vinyl HBI front doors are 86 mm thick. 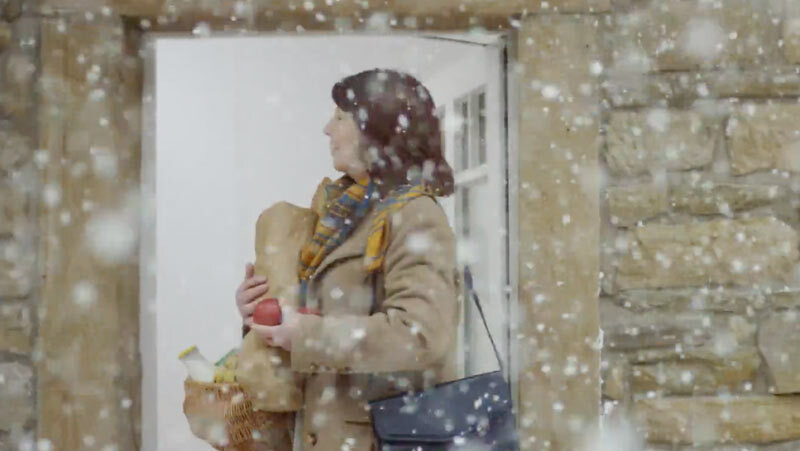 These more massive doors can accommodate thicker interior panels ranging from 42 mm to 48 mm (depending on model) and significantly thicker insulating hard PU foam cores. In the end, this improves the Up value of the door panel to approx. 1.0 W/m2K. 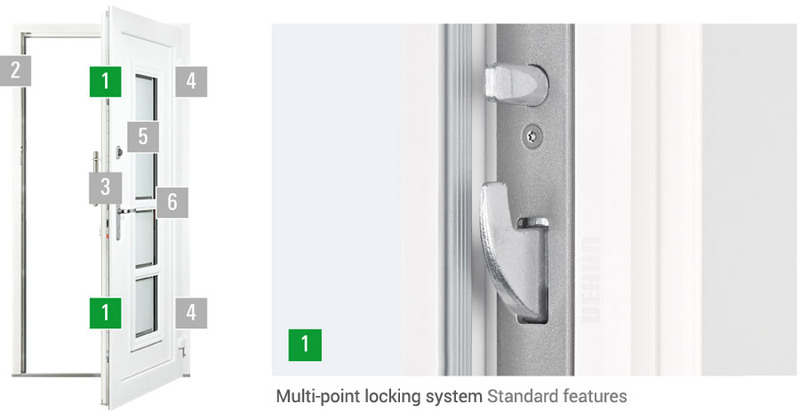 Vinyl HBI front doors with FRP profile cores come standard with an auto-locking door lock. 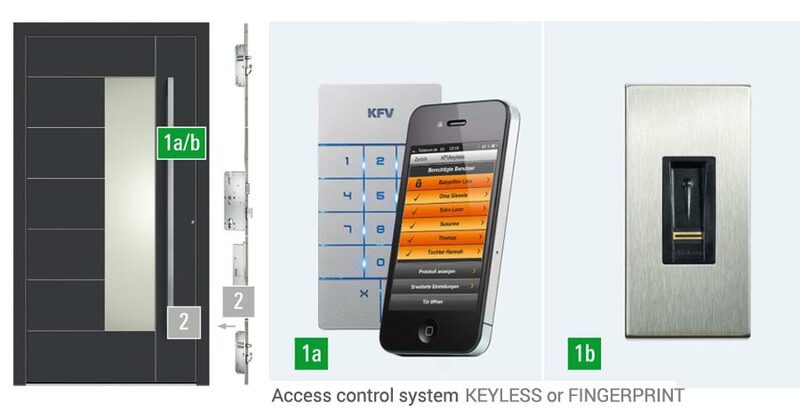 It permanently protects the door from warping and provides strong security even when unlocked: as soon as the door closes upon entering or leaving the house, it is mechanically locked by a latchbolt in the main lock case and two spring-loaded soft lock latches in the auxiliary lock cases. Two additional hook bolts can also be engaged to provide a weathertight seal and extra security. Inside: fine technology. Outside: fine design. 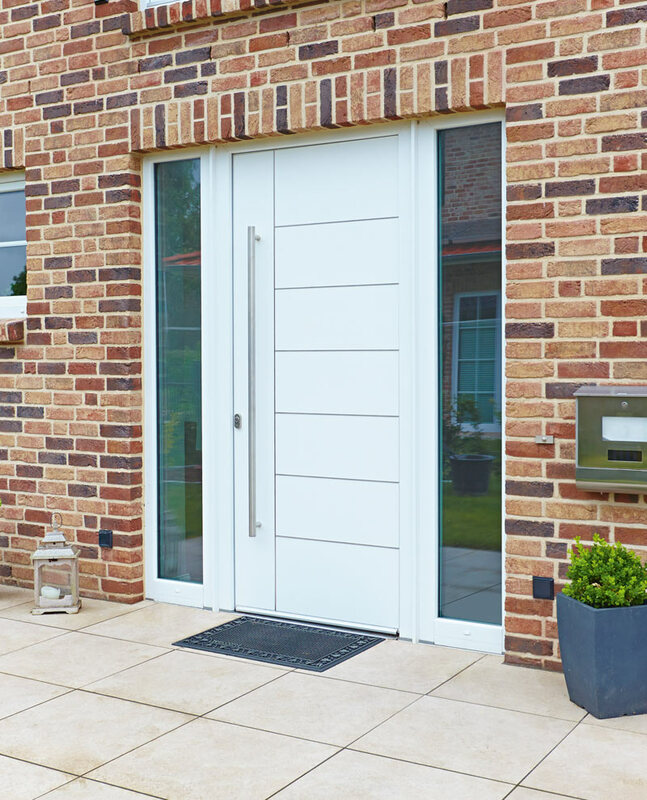 Vinyl HBI entry doors owe much of their durability and low maintenance requirements to their high-quality surface finish. You can also choose among various RAL colors and decorative films.